The title poem of this eBook begins with these oft spoken words, “If only I could play that hole again/ I know that I could shoot a better score . . .” Leon White a long-time player and keen observer of the game writes poetry for golfers who want to enjoy a new and exhilarating golf experience. His poetry will delight players who cherish the game for its perversities as well as its pleasures. He chronicles the joys and the heartbreaks of professionals such as Tiger Wood, Doug Sanders, Bubba Watson and Tom Watson. Other poems celebrate Michelle Wie’s college graduation and Na Yeon Choi’s U.S. Open triumph. There is even a poem about Johnny Cash as a golfer. 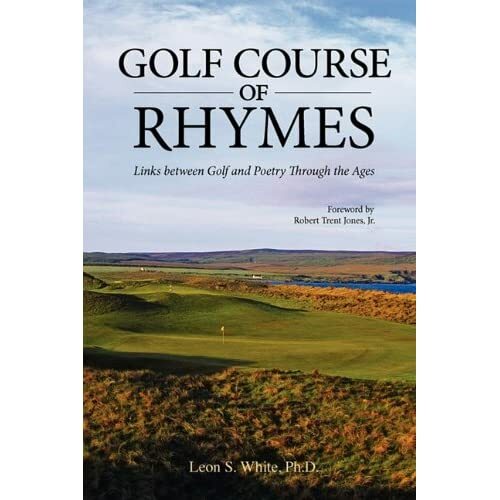 White, who in his first book Golf Course of Rhymes reintroduced the great golf poems of the past to the golfing public, now adds his own collection of more than 50 sparkling verses. Read them yourself or give them as a gift just for the fun of it. Some of these poems appeared as Posts on this Blog, some were in my earlier book Golf Course of Rhymes and some are new. Please take the opportunity to look inside the book at any of the websites where it is available. Also Amazon and B&N allow you to give an eBook as a gift. Thanks. 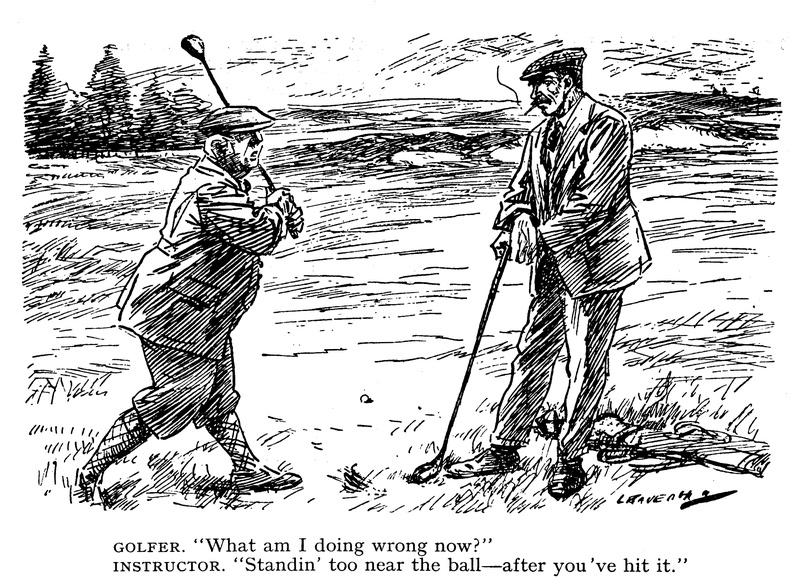 And if you have enjoyed the golf poetry from earlier times on this Blog, you might look at my (less new) book, Golf Course of Rhymes – Links between Golf and Poetry Through the Ages which is available on Amazon and Barnes & Nobles. It is also available on Amazon in Great Britain and in Western Europe. Enjoy the holiday season and may the new year be good to you. Filed Under: golf, Golf Course of Rhymes, golf history, golf humor, golf poetry, golf poetry books, Golf Twines, poetry, The book "Golf Course of Rhymes"
First, I would like to thank all of you for supporting golf poetry by visiting golfpoet.com. We have passed the three year mark and you have registered more than 60,000 page visits. Together we have made golf poetry, mostly poems written before 1920, a little more visible to the golfers of today. 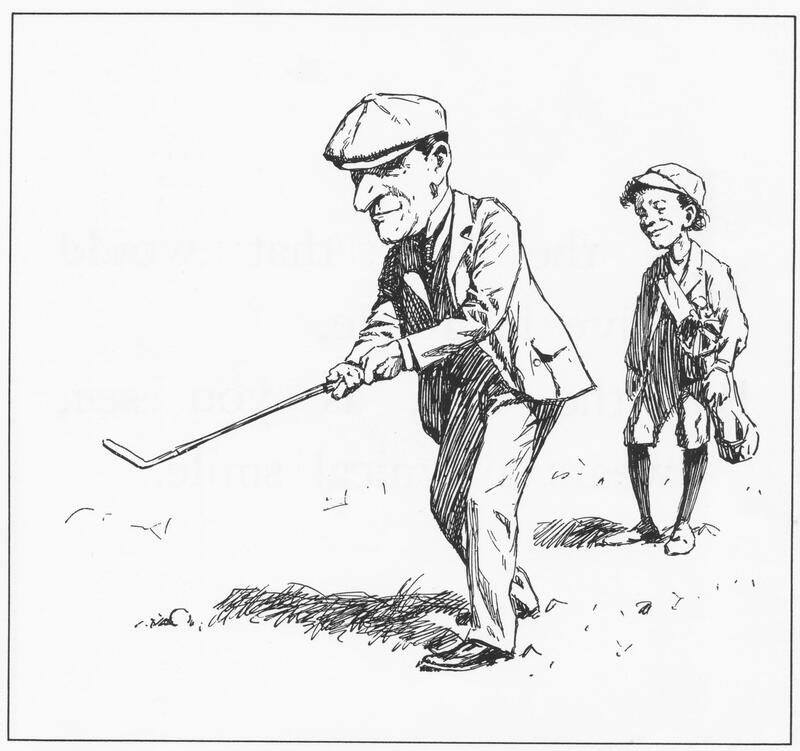 Response to the Blog also encouraged me to complete my book, Golf Course of Rhymes — Links between Golf and Poetry Through the Ages with a Foreword by Robert Trent Jones, Jr. If any of these titles look interesting, please take a look and enjoy. Finally, I would encourage you to send links from this Post/ Blog to any of your golfing friends who might enjoy the experience a reciting golf poetry. Thanks. Filed Under: golf, golf balls, Golf Course of Rhymes, golf history, golf humor, golf poetry, golf songs, Golf Twines, humor, Johnny Cash, poetry, sports poetry, The book "Golf Course of Rhymes" Tagged With: golf, golf balls, Golf Course of Rhymes, golf history, golf humor, golf poetry, golf poetry books, golf songs, Golf Twines, humor, Johnny Cash, poetry, rhymes, sports poetry, The book "Golf Course of Rhymes"
Barney Adams, the founder of Adams Golf, has had a lot of good ideas. His latest is a program called “Tee It Forward.” The goal is to make golf more fun and faster. The basic notion is that golfers should play from tees that match their driving capabilities. So, looking at the chart above, if your drives average 200 yards, you should be playing from tees such that “your” golf course is 5200 to 5400 yards long. Shorter tees for shorter drivers; longer tees for longer drivers. Makes sense. Both the United States Golf Association and the PGA of America have endorsed the program and will try to get golf courses to adopt it. A few weeks ago I decided to tee it forward and the experience inspired me to write a poem. I’m a decent player, but at age 75 the white tees have become a challenge. Teeing it forward did several things: first, it caused me to be more relaxed hitting tee shots since I no longer had to hit them as hard as possible; second, it got me to hit different clubs from the fairway since my tee shots often landed further down the fairway than before; and, third, it improved my chances of hitting greens in regulation since I was using shorter clubs on approach shots. Better scoring is certainly not guaranteed, but birdie chances and even the outside chance of an eagle (on a par 5) are now more than dreams. That your driver distance is a lengthy supposition. Most important is that course managers endorse and promote the program. Why not, if they recognize that it will be more fun for most who try it and faster too. Course managers would do well to encourage newer players to tee it forward as well. I began writing golf twines (two line golf poems for Twitter) in November of 2009. Two line poems are formally called “couplets” and, of course, they have a long history in poetry. I was hoping that my golf twines would catch on, and other Twitterers would write them as well. So far no such luck. 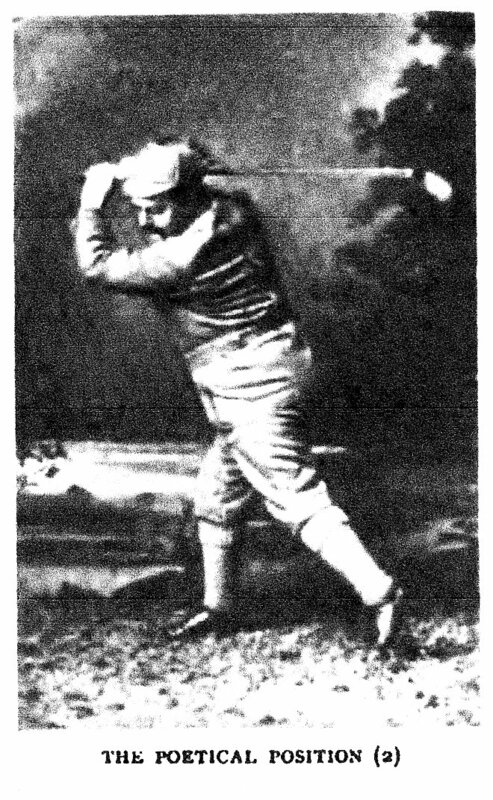 But then I found William G. Van Tassel Sutphen, a Victorian-era fiction writer, editor of the original “Golf” magazine and author of The Golfer’s Alphabet, originally published in 1898. In The Golfer’s Alphabet, Van Tassel Sutphen wrote 27 golf twines, but he was just a little early for Twitter. Sutphen, wrote a twine for each letter of the alphabet and added one more for the symbol “&”. His twines were illustrated by A. B. Frost. Frost (1851-1928), was considered one of the great illustrators in the “Golden Age of American Illustration”.
. So long as no bunker is in that direction. And who says golf has changed! And was torn into bits at the seventeenth tee. And also for Hazard that made it six more. And now and again it accomplishes wonders. Sutphen’s book was reprinted in 1967 and is widely available on the net. 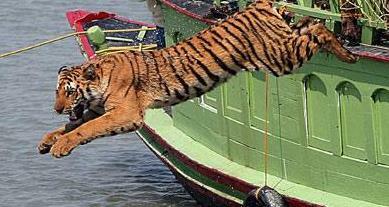 And with Tiger now a duffer, they are having a field day. All in all, a sad story. But when you need one, will you remember? I do not deny that tips are seductive. But they are also often conflicting or incomplete. Sometimes they solve one problem only to create another. They are most similar to whispered betting advice, leading possibly to a few winners, but not many. When I began playing golf, I benefited from hours of golf instruction given by PGA professionals. From there I went on to study, practice and swear. And now, many years later as a senior golfer, I just try to remember a few fundamentals as I play. At least for me, golf has become more of a game to be enjoyed and less of an application of lessons learned and tips remembered. In short, the pressure is off. An anonymous poet, whose poem “The Reason” in included in Lyrics of the Links (1921) by Henry Litchfield West, seems to agree with me. And yet you incessantly lay the ball dead. We’ll soon be reaching every green in one! Getting back to the fundamental progression in golf ball technology, the early changes at least led to conflict and controversy. The change from featherie to guttie, caused a split between Allan Robertson and Tom Morris. Morris who worked making featheries in Robertson’s shop, played a guttie one day. When Robertson got word that Morris was playing the new ball, he fired him. Or a desert island, fifteen thousand miles from Westward Ho! Rubber filling versus gutty still and solely on his mind. That in moments of excitement I am apt to miss the globe. I’ve escaped the fatal fever known as Haskell on the brain. There are lots of things to remember when playing a round of golf. Maybe the most important is that golf is a game in which you must only pretend seriousness. It is not an easy lesson to learn. And yet we all want to play as well as we can. So we are forever trying to bring to mind the right tip or the right thought at the right time. Ubiquitous Golf Instruction Twine: A thousand tips from Jan to December/ But when you need one, will you remember? The foozle leaves you feeling low. Don’t hit two bad shots in a row.